It seems that Lenovo has been on a bit of a laptop binge lately as their cavalcade of laptop releases continues with the V, Y and Z Series IdeaPads, complete with Intel’s new Sandy Bridge CPUs. 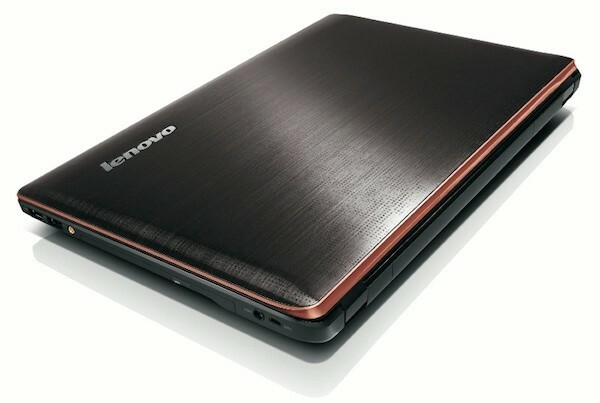 The first offer from Lenovo are three Y series laptops dubbed the Y470, Y570 and Y570d. The Y470 is a 14-inch laptop while the Y570 and Y570d are virtually identical 15.6-inch LED paneled devices. All three devices feature up to Intel Core i7 CPUs, a plethora of graphics options, up to 8GB of DDR3 RAM and up to 1TB HDDs. These three devices also show off Blu-ray drives, JBL-designed speakers, Mini-PCle, a six-in-one card reader, optional TV-out, HDMI, RJ45, three USB 2.0 ports and a 2 megapixel webcam. All three devices come with a standard 6-cell battery and the Y570d, unsurprisingly, packs 3D graphics and comes, conveniently enough, with a free pair of 3D glasses. The Y Series of IdeaPads will be available in May for a base Price of $899.99. Next up is the V Series. The V Series includes the V370, V470 and V570 laptops with the V370 coming in at 13.3 inches, the V470 at 14 inches and the V570 at 15.6 inches. All three V Series devices feature up to Core i7 processors, up to 8GB of DDR3 memory and up to 1TB HDD. In addition to that, all three devices also feature Bluetooth, 802.11 b/g/n WiFi, a Blu-ray drive, support for HD graphics, HDMI out and Stereo speakers. The V470 and V570 come with the NVIDIA GeForce 525M graphics option whereas the V370 houses the weaker NVIDIA GeForce 315M GPU. The V370, V470 and V570 come with 6-cell batteries standard and will be available this April for a base price of $599.99. Rounding out the new series of IdeaPads is the Z Series which brings us the 13.3-inch Z370, 14-inch Z470 and 15.6-inch Z570. All three of these devices feature Core 2011 CPUs and up to 8GB of DDR3 memory. The Z370 features NVIDIA GeForce 410M graphics whereas the Z470 and Z570 come with NVIDIA GeForce 525M 2GB graphics. All three IdeaPads come with Blu-ray drives, 802.11 a/g/n WiFi, Bluetooth (optional), three USB ports, 5-in-1 card reader, HDMI out, VGA out and a webcam. Unlike the Y and V Series, the Z Series has yet to be given a final release date or price. We will let you know when one surfaces from Lenovo but until then you can keep yourself occupied with the V and Y Series.